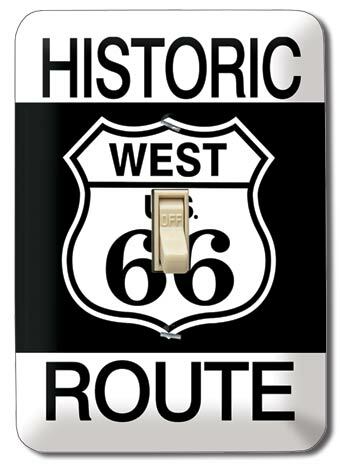 "Historic Route West U.S. 66" Light Switch Plate | Desperate Ent. Historic Route West U.S. 66 heavy-duty metal decorative light switch plate, includes color-matched screws. A great and easy way to add a special touch to your home, office, family room or garage. Ask a question about "Historic Route West U.S. 66" Light Switch Plate.